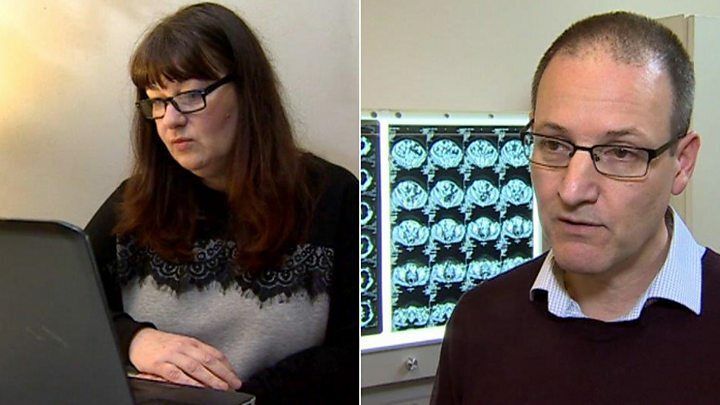 There is a "real risk" to the future of cancer services in Wales because of a significant shortage of specialists, experts have warned. One consultant warns of doctor "burn out" and a poorer quality service. Royal College of Radiologists (RCR) figures show only three extra cancer doctors joined NHS Wales in the past five years, despite cancer rates and patient numbers rocketing. The Welsh Government said it was working to improve recruitment. Clinical oncologists are doctors who treat cancer with radiotherapy, chemotherapy and immunotherapy. But as well as shortages, vacancy rates in Wales are also the highest in the UK. The RCR has called on the Welsh Government to increase funding for junior doctor training posts in oncology. Dr Martin Rolles, the RCR's cancer lead in Wales, said: "Our shortage of cancer specialists poses a real risk for the future." He added: "There are increasing risks because overworked doctors tend to make mistakes. It will affect the quality of the patient experience and it will affect the quality of the very good service that we try to provide in Wales." Dr Rolles warned about "perennially vacant consultant posts" but recruitment was difficult because of a UK-wide shortage. "However, Wales is good at retaining its own trainees when they become consultants. There is competition for places on the Welsh training scheme, so it makes sense to invest in more trainee posts." Because it takes around eight years for doctors to qualify as consultants, there is no "quick fix" but Dr Rolles said there was a need for urgent investment in more trainee posts to ensure the service would be fit for the future. What about the patient experience? Jane Eyres from Blackwood, Caerphilly county, is well aware how critical and complicated cancer treatment can be. Because of delays, her lymph node cancer was spotted at a relatively late stage and she faced an anxious wait to be diagnosed. She had to have surgery, as well as chemotherapy and radiotherapy from specialists at three different hospitals. Although she is nearly five years free of cancer, Ms Ayres said: "If it takes so long to see somebody and if there's a shortage of consultants - which then means there's a shortage of appointments to see somebody - that anxiety builds and builds. "To be fair when you're actually diagnosed, once you're on that train, you've left that station, the journey is very efficient and the care you get is phenomenal". Wales had 47 clinical oncology consultants working across its three cancer centres in 2018, equating to 42 full-time consultants due to the fact that a number work part-time. But this is equivalent to just three extra full-time oncology consultants (7.7%) than in 2013. That increase is the lowest of any UK nations over the last five years. England saw an increase of 141 (24.5%), Scotland an increase of 17 (25.4%) and Northern Ireland had 11 (55%) more consultant clinical oncologists in 2018 than 2013. The proportion of consultant oncologist posts that are vacant, according to the census, is the highest in Wales - seven jobs remained unfilled here in 2018, compared to four in Scotland and no vacancies advertised in Northern Ireland. The vacancy rate across the UK is 7%, compared to 12% in Wales. The figures also show NHS Wales produced on average just 1.5 new consultants per year between 2013-18 despite being highly regarded by junior doctors for its oncology training - attracting more applicants than there are places available. The RCR argues that unless there is a significant expansion in training places the supply of new consultants won't be able to keep pace with vacancies, retirement and the need to expand current services to meet demand which is increasing rapidly. The Welsh Government's own statistics show that the number of patients referred to specialists as having urgent suspected cancer increased by 154.8 % in the 10 years to 2017/18, while numbers starting treatment increased by 68.2%. The slow growth in oncologist numbers in Wales is particularly worrying given demand for cancer care is forecast to continue to increase significantly. For example, Macmillan cancer charity estimates the number of people living with cancer in Wales will nearly double in the next 10 years from 130,000 to 250,000 by 2030. It says the report "paints a stark picture" of Wales' cancer care workforce. The concerns about shortages of oncologists echo previous concerns about a severe lack of radiologists in Wales. Beyond Wales the RCR is worried that cancer services across the UK are facing a "staffing crisis". In its annual oncology workforce census, the RCR says with cancer doctors working longer hours to keep up with demand and many retiring early, one in six cancer centres across the UK now have fewer clinical oncology consultants than five years ago. Lowri Griffiths of Bowel Cancer UK said: "Yet again, Wales seem to be the poor relation with patients here being disadvantaged due to workforces shortages in the cancer field. This crisis in the training and recruitment of specialist cancer doctors is simply unacceptable." But despite concerns, Dr Rolles said Wales has a lot to be proud of in terms of quality of care and research - and it was a friendly and supportive place to work. "The three Welsh cancer centres collaborate closely, and are extremely well networked - they have to be, both through necessity and geography - and IT has allowed us to introduce innovations such as nurse-led chemotherapy units in local hospitals, overseen from the main cancer centres," he said. "The country has lots to shout about, both in terms of cancer research and the application of new treatment techniques. "We've led the way on melanoma and renal cancer research and have been able to roll out the newest forms of intensity modulated - and stereotactic ablative radiotherapy for our patients, whereas, coverage has not always been as good elsewhere across the UK. "However, while our innovations should be celebrated, our shortage of cancer specialists poses a real risk for the future." The Welsh Government said a new national workforce strategy would be published later this year. Health minister Vaughan Gething said: "The challenge is how do we maintain the pace and momentum - it's a fair challenge from the RCR about how we make sure we're training and recruiting enough staff to maintain the high standard we are setting and for the future of cancer services."